You have got to love this time of year. All games seem to take on a different perspective as Regional Rankings start getting rolled out, the end of the season can be seen, and teams are fighting for not only conference playoff positioning, but to make the tournaments in the first place. It seems to drive programs and even those who have struggled seem to find themselves when there is more on the line and the opponent has a bigger target on their back. Of course, the second time through conferences makes a different I am sure. This week was a mix of things for me. I remained confident with some teams, I had to make some really hard decisions on who to move up and how far despite less than stellar results. I also had to debate how far to move teams down and despite recent results if a team was still better than the group around where I was slotting them. I also had to move teams into slots I didn’t think they fit – a common theme for months now – while wondering if I was missing something on the outside. Ohio Wesleyan very nearly made Dave’s ballot this week… and he continues to wonder why he didn’t pull the trigger. There are actually teams with more losses than on my ballot who I think are playing better than teams with less losses. That is tough to gauge. For example, I seriously considered putting Ohio Wesleyan on my ballot and not in the bottom four slots. Remember, I had the Battling Bishops in my Top 5 in the preseason poll. I like what they have. But when you start 2-3 on the season and 7-6 turning into early January… it’s bad. It certainly isn’t a Top 25 team. Since then, OWU is on a ten-game winning streak and handling their business. But does a 17-6 team seriously have a place in the Top 25 ahead of 1, 2, 3, 4, and 5 loss teams? I have 6-loss teams on my poll, so why not? I have them ahead of those other types of programs, so why not? I didn’t pull the trigger this week, but as I write this I beg the question why I didn’t do it. People ask all of the time, is the Top 25 a statement for how a team is doing over the course of the entire season or a snapshot of how they are right now. I personally think it is a combination and what kind of mixture that is is dependent on the team. What I determine for one team is not right for another. There are too many factors involved. One team’s defense may be better and I like that over another whose defense isn’t as good, but whose offense tends to flourish. I also look at schedules and conference foes to get a sense of how competitive games are. For some teams, I need to see dominating wins to have confidence in them. In another team, close finishes tells me more because of who they are playing and where those games are. I don’t have a cut-and-dry formula that works for all and thus why the process is several hours instead of several minutes. I debate all of those things on a weekly basis. How is a team doing right now, has their season given me concern or confidence no matter the current results, are the current results starting to trump what I have seen on a season-wide scale, what is the conference doing, who is on their schedule, are they in a lull or a peak in conference opponents on their schedule. The questions and analysis are endless. Add in what I have seen in box scores and on video web streams and what people are telling me or answering to my questions. I may have missed on Ohio Wesleyan this week and maybe left a couple of teams in who should be gone, but let’s see what the next week brings to justify my decisions or justify my second-guessing. Rochester’s win over WashU was impressive enough to Dave to override the concern the Chicago loss initially created. Yeah, I only moved the Yellowjackets down one despite losing this weekend to Chicago. I made a point of watching as much of the Rochester at WashU game as I could (after realizing it started an hour earlier than I expected). They controlled the Bears. There was no sign to me that Rochester isn’t as good as I expected them to be. They didn’t blow me away as a Top 5 team, but to be honest… NO ONE has blown me away as a Top 5 team besides maybe Babson. My expectations of a Top 5 team from five years ago has to change. There is too much talent across the board in Division III now. Rochester held WashU at arm’s length and didn’t let the game go into the Bears’s control. Their loss to Chicago, let’s be honest, wasn’t all that shocking. The Maroons are a very good team who have just picked up too many losses in a tough schedule. What I saw from Rochester in St. Louis gave me confidence on where I have them in my poll. The Panthers are surprising me. I know I had heard and read a lot of confidence in Middlebury from people early on this season, but I brushed it aside. There was nothing on this team that impressed me from two 17-win and one 18-win campaign in the last three seasons. I didn’t think they had grown. But in the last few weeks, I have been watching them very closely and they have been putting teams away. Just in the 2017 side of the campaign, they have won their games by a margin of 16.7 points per game while only having two losses and only one of those was bad (Williams: 89-65). They handed Amherst the head of it’s old mascot 106-91 over the weekend before rolling over Trinity. The Panthers are playing really, really well and if they keep this up may be the team no one wants to face come the NCAA tournament… especially as Tufts is banged up, Amherst is reeling, and everyone else in the Northeast except Babson seems to be stumbling. Normally, I don’t move a team down very far when they have lost to a team I, at least, had them ranked behind. However, I thought about moving the Bears down further. I just wasn’t blown away with their effort against Rochester. I think WashU is a good team, but not Top 10 good. Then again, when I don’t think my Top 5 is really Top 5 caliber, maybe WashU being below what I think a Top 10 team goes with the territory. While I have to both get the WashU teams of old out of my head and stop comparing them… I also have to stop looking for something that blows me away. I just didn’t feel like WashU was worse than the teams below them and thus while my thinking was to move them down further… the answer is I couldn’t. So a combination of things including a cushion keeps WashU in my Top 10. Hope’s overtime win to Trine gave Dave pause. The overtime game against Trine concerned me. I know Trine and the rest of the MIAA are subtly better than people realized, but I think Hope needs to be a bit more assertive if they are in my Top 10. I also thought Marietta is playing a bit better basketball as of right now, so I shifted the two teams. I have been double-guessing this since I submitted my ballot and had been debating this non-stop prior. There is something about the Green Knights I think is good, but they frustratingly don’t always show it. The Grinnell loss bugs me, but I also realized Grinnell might be playing with a little bit of fire after having to forfeit game due to some kind of screwed up paperwork or whatever allowed a player to be playing when he shouldn’t have (is how I read into the explanation). My counter argument is I am putting too much stock in the Grinnell emotions and didn’t pay attention enough to the fact that SNC lost a game they should have won – no matter the style being played… this isn’t new to them. The problem, not many teams below St. Norbert are blowing me away, either. So they “float” here at 13. Probably should be around 20… but this is no-man’s land for my ballot. I don’t have a great breakdown for why I moved the Big Red up four spots besides the fact that a number of losses above them coupled with not many teams around or below them blowing me away forced me to put teams in slots that are far higher than I would like (I think I have shown a few examples of this already). I missed the chance to see the River Hawks in person this year (due to the Division III soccer championships) and I have been a bit more critical. The Landmark conference is not that amazing at the top this year, though the middle and bottom have become more interesting. Scranton and Catholic are no where close to their NCAA-selves of the past, so should I put that much stock in Susquehanna beating Catholic last week? What got me to put Susq in this slot was (a) every time you think a game will derail them, they come back strong and haven’t had a losing streak all season and (b), they blow Catholic out of the water on Saturday (88-64). This was a tough game schedule wise as Goucher and Drew were on either sides… a loss in this trio of games would not have surprised me. Frank Marcinek really likes this squad and that says a lot. I’ll buy in … for now. Last week I indicated I was comfortable with the Eagles near the bottom of my ballot. They hadn’t done anything in conference except lose a game. Then a birdy pointed me to something I should have noticed on my own: in Benedictine’s nine-game winning stream since their loss to Concordia (Wis.), they have beaten their opponents by an average of 25.7 points per game! They have shot .540 in that stretch improving their season shooting to .514! They are only allowing 69.7 ppg which has brought their season average down to 70.8. Something about that game against the Falcons woke this Benedictine squad up. Sometimes there are times we see a “good” loss … this might have been it for a team that I have to remember brought back a ton of talent from last year’s national championship appearance. I’ll be quick, the win over Randolph-Macon was just what the Quakers needed. The loss to Roanoke… ugly. For a team that needs to keep dominating, losing by one to Fredonia and then barely beating Buffalo State by one… not what I wanted to see from the Lakers to remain confident that Sortino and gang can actually get it done. This breaks my rule about moving teams down when they lose to a team ranked above them. The shift was mainly because of teams I was moving around above and around UWW. Had they won, they probably wouldn’t have moved up very far because of that movement as well. More a testament of where I think the Falcons fit in on this poll and what is happening around them. I have been debating about the Panthers for weeks. The loss to Rose-Hulman gave me pause. They aren’t blowing their conference competition out of the water, but I also think the HCAC has improved at the top quite a bit (certainly gotten deeper). And they only have three-losses at this point in the season! Granted, I (spoiler alert) punted teams with two and three losses this week, but I think Hanover is playing better than those other squads. … that the purple As didn’t fall off my ballot. I debated a long time on this. I seriously contemplated dropping Amherst from my ballot despite them being 8th the week prior. The four-losses in six games in late January/early February gave me pause and I dropped them. They then moved up the poll and into the Top 10 after getting back to their winning ways (six straight) while other teams fell around them. I didn’t love them in my Top 10 – but that has been discussed. They then lost two in a row (OT against Wesleyan before being handled by MIidlebury) and I nearly gave up. What is odd is the concerns I had at the beginning of the season, that I nearly forgot, seem to be cropping up now. They proved me to me earlier that those concerns were hog-wash… until now. I just don’t think they are as strong or as deep as we are used from the LeFrak residents. So why didn’t I just simply remove them? I do still think Amherst has the ability to make a run in the NCAA tournament if they get back in the right mindset – though, not Salem this year (and yes, I didn’t think they could have gotten to Salem last year if Babson had Flannery at 100%… or even 75%) and THAT is why I dropped them. However, if I think they can make a deep run, I can’t remove them. Furthermore, if I drop Amherst then I drop Wesleyan leaving me two spots open. I have already admitted I would have put Ohio Wesleyan in in that case, but I don’t know who my second team was. I wouldn’t have left in any of the teams I dropped and the others I was considering didn’t make as strong a case in my opinion. So, Amherst (and Wesleyan by default right now) stay… and I second-guess myself the rest of the week. This was the only team that had a chance to stay on my ballot, honestly. But the loss to Rosemont kills me. This is not a shot at the Ravens who I think is a very improved team, but to stay on my ballot from the CSAC, you have to dominate the conference. The loss to Rosemont doesn’t prove that to me. As good as Neumann is, it seems they are still trying to figure out personnel and maybe overlooking opponents. Both of those are red flags for me. St. Thomas return to Dave’s Top 25 was short-lived. I seriously considered replacing the Tommies with Carleton which would have been that second team I mentioned I was looking for to replace Amherst and Wesleyan (to go along with OWU). Carleton beat St. Thomas to end their eight-game winning streak and extend the Knights, then, 10-game winning streak. For St. Thomas, that loss concerned me for a squad that had turned it around and looked to be on it’s way to another MIAC regular season title. And I didn’t want to vote for Carleton, because I was worried the win would be the emotional climax and they would stumble after it. Interestingly, St. Thomas lost their next game maybe revealing their emotional climax had been reached and Carleton dominated in their next game maybe revealing a new team for my ballot next week. I knew this would happen. Almost immediately after putting CMS back on my ballot for the second time this season and just after convincing myself they were going to continue dominating the SCIAC… they lost to Pomonoa-Pitzer and before they could stop the bleeding La Verne knocked them down another peg. Just can’t vote for CMS who went from having a Pool C chance if they needed it… to having to now win to get in to the NCAA tournament. I think that about covers it. Don’t forget Hoopsville will be on air Wednesday afternoon shortly after the Regional Rankings are published and will be on air Thursday and Sunday nights starting at 7:00PM. Also, please consider donating to the Hoopsville Fundraising efforts. We want to stay on the air for years to come and your public television-esque support is very much appreciated. Did you watch the Hoopsville Marathon? You can catch up On Demand by clicking the picture. Well, let me start by apologizing for those who like to read these blogs for not getting you one the last few weeks. I had other obligations or items on my plate the last few weeks that didn’t allow me the time to post. I have also been under the weather dealing with a cold and exhaustion (notice, Hoopsville was canceled Sunday) which hasn’t helped. 8 UW-River Falls Washington Univ. As you can see, movement in a few different places. I toyed with some teams in and out despite maybe not losing. I also made some serious shifts to those who seem to be struggling especially in conference play. While things have been a little less volatile in the Top 25 – if not the entire division – it doesn’t make things easier. I think there is a significant cap in the area of 7-15. I am not comfortable with a number of teams where I have them ranked. Many are too high. However, I have to put someone in those slots. I have to fill in the holes. So teams are going to rise further up than I want them, but I don’t have anyone better to put in those slots. I’ve got nothing to add here. I think they are the best in the country being led by arguably the best player in the country. Haven’t changed my mind all season. I’ll be honest, I am nervous now. The Blue nearly lost to Linfield. I had said on Hoopsville recently that I thought the past weekend could easily be overlooked by Whitman after beating Whitworth for the second weekend. However, I thought they would have struggled with Pacific though their struggles with Linfield maybe makes more sense. The Blues can’t overlook even the weakest of opponents. Teams this high in the rankings don’t do that. 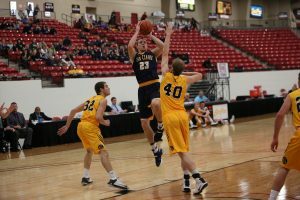 I didn’t like the Yellowjackets prior weekend in the UAA and was nervous with the immediate turn around against the same opponents it would not end well. Rochester actually put their foot down. I’ve been worried they might fade like they did last season, but maybe that isn’t going to happen. That said, EPIC showdown with Washington University this weekend that could determine the conference automatic bid to the NCAA tournament, but Rochester cannot overlook Chicago this weekend as well. The Captains look strong, but I would feel a lot more confident if their All-American Marcus Carter was having an All-American type season. My concern is he hasn’t looked nearly as strong this year and that could turn into a liability moving forward especially if the Captains hope to get back to Salem. Maybe I got a little too overzealous moving the Roadrunners to No. 3 overall last week. I liked what I was seeing. They were controlling their opponents in a usually tough NJAC. And while the NJAC hasn’t been as strong this year, I didn’t expect Ramapo to struggle against TCNJ this past week. Oops. Ramapo is a very good team, but they can’t allow dings like they experienced this past week. I was willing to move them further down the poll, but they ran into an area where a lot of losses had taken place and moving them behind teams below them didn’t work – they aren’t worse than those teams. Despite the fact the Falcons took their first WIAC loss of the season to Oshkosh, I didn’t move them. The main reason is I didn’t have any where further down to put them. 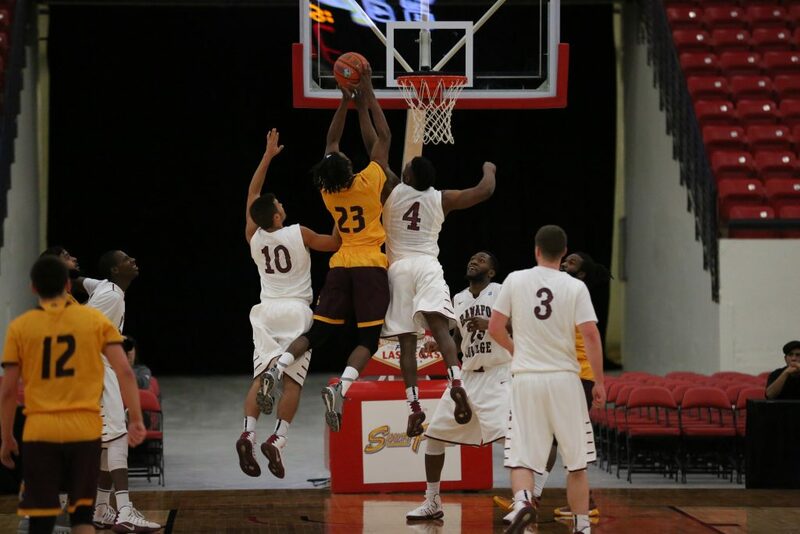 The second reason is I would have been shocked to see any team go undefeated in the WIAC. I do think the loss to Oshkosh is a little concerning considering how UWRF has been handling the rest of their conference schedule. However, Oshkosh is a good team and certainly capable of getting that win. The biggest surprise was it was on the Falcons’ home court. Now we enter the area I am not comfortable with in terms of where teams are ranked. I know a lot of people are impressed with WashU… I am not blown away with them. I feel they are a 10-15 ranked team who is certainly having a good season. My concerns were made clear in their game at Case Western Reserve when the Bears basically blew a 16-point lead with a CRWU team that just wasn’t close to 100%. The odd part is WashU had a number of missing players the second time around with CRWU and the game was over early (correction, I have this confused with the Case missing players against Chicago; I apologize). Big match-up coming against Rochester with Emory lurking as well. I will be watching this weekend’s games closely. No surprise the Lord Jeffs got past Tufts this weekend. And Amherst has done nothing but win since they lost to Wesleyan and Trinity a few weekends prior, but this is another team that right now I feel more comfortable between 10-15. The conference has exposed some flaws and I am just not as sold on the purple As as I used to be – heck, I wasn’t even that sold when they were in the 2-slot on my ballot. Maybe chalk all of this up to how crazy parity has become that there aren’t any bad losses anymore. Their loss to Whitman basically sealed the fact to me that the Pirates are the same dominating force we have grown accustom to, so their ranking in the Top 10 is an uneasy one. I like them closer to 15, but had to move them up to 9. They had a far more solid weekend than Whitman, but maybe realizing they can’t control the conference has taken some of the pressure off. This just isn’t as strong a squad as I am used to, so a Top 10 ranking seems strange to me. Hope cracks into the D3hoops.com Top 25 despite the fact Dave has them tenth on his ballot. I may be higher on the Dutchmen than others. There is something about this squad I like. I can’t put an exact finger on it, but the fact they are staying above the fray in the rest of the MIAA may have something to do with it. Who knows. Again, maybe not a Top 10 squad, but I like what I see. The Pioneers seem to be getting their swagger back, but I am not convinced they have solved the problems that plagued them in the middle of the season. The recent win over John Carroll gave me hope they found some answers, but I still think they can be exposed by team who has quality players inside. I don’t love Marietta this high right now until I see how they finish the season, but here is where I have to put them. The Green Knights did a nice job to avenge their lone conference loss in … years. I think they are a quality team, but not sure they aren’t more like 15th or 16th in the country. That said, they are proving to be a tough out and once again control how the MWC will be determined this season. Middlebury could turn out to be the most dangerous team in the NESCAC. The Panthers have quietly been assassins. They have been rolling over teams that leading up to the game looked like they might be formidable. Just look at the recent game against Hamliton! I wasn’t really buying in to Middlebury earlier this season, but they actually might be the most dangerous team in the NESCAC. Forget Tufts and Amherst or even Trinity, Middlebury could control this conference before things are settled. I wasn’t as aggressive with the Seagulls because I think they are playing with fire. This is a team that sometimes plays too close to their opponent’s level than they should. York (Pa.) beat them earlier this season and Salisbury barely got past them the second time on the Seagulls home floor. I just don’t think they know how to put teams away and that will mean teams hanging around and maybe knocking Salisbury off one or two more times this season (not counting a third game with CNU). I would feel far more comfortable if Salisbury actually blew the doors off more of their opponents like they are capable of doing. The ODAC is not something to write home about this season. Competitive, sure, but not top notch. That said, Guilford is quietly having a pretty impressive season. The loss to Hampdon-Sydney did more than concern me, but the Quakers are back in control of the ODAC which could have a lot of ramifications later. The biggest trick, Guilford cannot rest on their laurels. 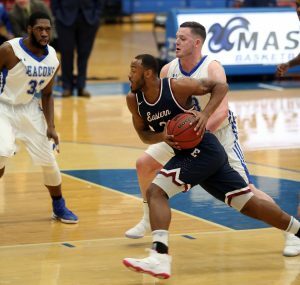 There is an argument that only one team from the ODAC will make the NCAA tournament this year no matter how things turn out (I don’t agree, but the argument is a good one). Guilford has to not trip up between now and February 26. What the Gothic Knights did this past week is exactly what I said they and others in the NJAC can’t afford to do this season. Prior to seeing the SOS numbers last week, I thought NJAC was in good shape to have two teams in the NCAA tournament. But the recent SOS numbers (not from the NCAA, but pretty accurate) tell a different story. 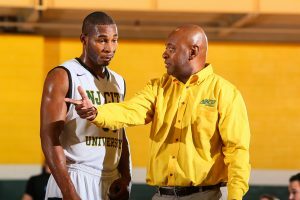 With numbers that low, a team like NJCU cannot lose to a team like Rowan. I don’t care how good people say teams in the NJAC are, the top teams have to keep beating the teams behind them or this is once again going to be a one-bid conference especially in a year where the middle and bottom haven’t ended up being as good as expected. The loss to Rowan could ended up being bad for many reasons besides me losing confidence that the Gothic Knights were underappreciated… not to mention a squad with such a good defense gives up 90+ in the loss. Not good. Not good at all. Tell me if you have heard this story before? 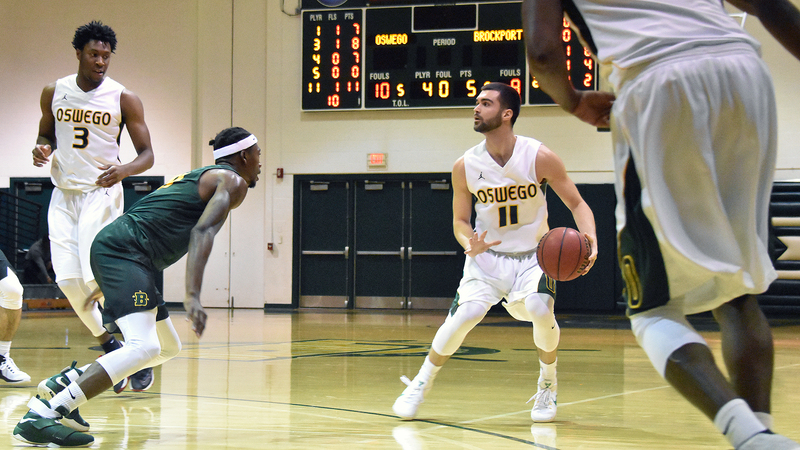 Oswego State has some questionable results early in the season, people forget about them, and they come storming back in the second half of the season. The Lakers now have control of the SUNYAC thanks to their recent win over Brockport. However, I am waiting for the other shoe to drop. This team is full of talent, but there are teams that tend to leave me wanting more and Oswego has been one of those teams… will they do it again? Ouch. Losers of three straight and seeing their two-game advantage in the NCAC disappear completely the Big Red now find themselves a game back of Wooster and Ohio Wesleyan with losses to those two in this stretch. Not good. Denison, I feel, has been a very good team who has taken advantage of Ohio Wesleyan’s disastrous start to the season and a below-par-Wooster squad. However, they had gotten to February still playing terrific basketball. This is the worse time possible for a meltdown. I hope Denison is able to figure things out, because they are also dealing with a shockingly low SOS which means these losses could ended up costing them a chance at returning to the NCAA tournament. Normally a single loss to a conference foe, especially a very good one like Amherst, wouldn’t drop a team ten spots. However, Tufts is having to play with their most important player: Tom Palleschi. His presence inside makes the Jumbos a difficult team to play and beat. Without him, the squad has been exposed to the tune of three losses in four games. Will Palleschi return? Not sure. He might be back in two or so weeks… he might be done for the season. Sadly, the season may go down with their player. That is sad to say for a team that played above expectations last season and seemed to be above the NESCAC fray all season. This is the first time I am voting for the Warhawks and I don’t love the vote. Sorry. The out-of-conference schedule was nothing to be proud of and the three-game losing streak to start conference play was what I thought would happen – bringing UWW back to earth. However, they have gotten back to flying and have won seven straight with four of those being on the road. The toughest test will be this week at UW-Stevens Point and at UW-River Falls. After this week I will either be comfortable with Whitewater on my ballot or shaking my head as to why I chose them over someone else. Looking forward to seeing how this turns out. As strange as this is going to sound, I was impressed with the Garnet’s overtime win at McDaniel. I saw the game in person and really liked what I saw from Swarthmore. McDaniel has a habit of playing to the level of it’s opponent which in this case meant playing a far better game than they have shown in the past, so I didn’t knock Swarthmore for having to go into overtime against the Green Terror – especially at McDaniel. The Garnet’s inside game is better than I expected, though their bigs may have to play a little quicker for them to be more dangerous in March. I am not blown away with Neumann, but they keep winning especially as the target gets bigger and bigger. I can’t figure out their personnel changes in the second semester, but they keep winning. One-loss overall and playing in the CSAC makes it hard to stand out, but I had been told at the beginning of the season to keep an eye on Neumann and so far watching them has been good enough to get them ranked… even move them up this week. I had actually sold them when they had a couple of close games they shouldn’t have had in conference, but I am also willing to give them the benefit of the doubt at this point. St. Thomas is back in the conversation and in control of the MIAC race after a less-than-Tommies start to the season. Well, the Tommies are back. After a near-disastrous start that had them in the middle of the MIAC pack, St. Thomas has regained control of the conference and seem to be playing on a different level. Who knows what Coach John Tauer has psychologically down with his program, but it has worked! Great turn around that I just couldn’t keep unranked any more. The finish to the season is not going to be easy, but with two wins over both Bethel and St. John’s already in the Tommies’ pocket, UST is in the driver’s seat once again. I don’t have much to say here. The Eagles have been stuck in the 24-slot for weeks with me. Their first conference loss didn’t give me much hope, but they also continue to show they may be as good as last year’s team. No, I am not ranking them accordingly because I feel there may be some smoke and mirrors, but in the meantime I keep watching with no reason to move them up … or down. CMS and Neumann have been in and out of my ballot for a few weeks. They are both 1-loss teams I can’t figure out. CMS first got on the ballot when they easily handled their first above .500 squads of the season. They came off when they barely got passed Caltech. They continue to win and a one-loss team looks better than some of the three, four, five, even six-loss teams. Not sure where CMS is going to go this season should they make the NCAA tournament, but here’s hoping they show how good they seem to be instead of it just being the usual beat-down of West Coast teams. North Park’s Juwan Henry has missed the last few games for the Vikings who have now lost three of their last six. Injuries and losses are revealing the North Park team I thought we were going to see. They have two preseason All-Americans (only two to have that this year), but one appears out with an injury and the rest of the supporting casts doesn’t seem able to produce like they have in the first-half of the season. The Vikings are 3-3 in their last 6 and 6-4 since the New Year. Not that impressive anymore. I have really liked the Cowboys, but two losses in a row (before a win to stop the bleeding) did not impress me. They have some of the best talent in the country, but they may have just set-up the “win-or-go-home” scenario for the conference playoffs. Not sure how HSU gets in the NCAA tournament unless they win out – though, we haven’t seen the first regional rankings to better understand their situation. Just when I buy in to the Ty Sabin-led squad, they lose two in a row. I wasn’t surprised when St. Norbert beat them, though the 17-point spread was eyebrow-raising, but to then follow that with a loss to Lake Forest was disappointing. The giveth and they taketh away. The Cardinals are a team I have said was worth watching in what is the deepest and craziest NESCAC we have seen in quite some time, but they are in the same boat as others in terms of not losing games they shouldn’t. Williams nipped Wesleyan in the only game the Cardinals had last week! That speaks louder to me – just one game and lose it – than anything else. There was no other game to distract the team – just one – and they lost. Wesleyan is still dangerous, but not as fearful as beforehand. There you have it. Another week down. Couple more to go and we will be talking about who is in and out of the NCAA tournament. I will hopefully have time get you those ballots as they are filed each week. Don’t forget to tune into Hoopsville the rest of the season! We will be on air for a special Regional Rankings show on Wednesday afternoon along with our usual Thursday and Sunday night coverage starting at 7PM those nights. Let me start this week’s blog out by apologizing to those who look forward to this series for not producing a blog last week. Things got a bit busy and by the time I had a moment to write it, there was no point (it would have been dated). Joey Flannery and Babson continue to be my top pick for the best team in the country, but no one is blowing me away with any kind of dominance. With that information now out there, let’s move on to this week, shall we? The Top 25 continues to be a blood bath. There were 15 losses featuring 13 teams in the overall Week 6 D3hoops.com Top 25. My ballot featured 13 losses amongst 11 teams. In the last two weeks, 28 losses involving 19 teams. I don’t want to go further back and do that math. All in all, it leaves a voter like myself scratching my head so hard I might start losing hair! In the last few weeks, I have also basically thrown a grenade at the entire thing and waited for the dust to settle. I am using too many grenades. Working on my Top 25 ballot this week. Looks neat, but this is before I got very far into it. This week I just shook my head, erased the previous week, penciled in the top two and went back to the drawing board. However, I didn’t move teams as much as I thought I would. I noticed that a bulk of the losses have happened at the top of bottom, not in the middle. That ends up providing a bit of a cushion for teams like Amherst who lose two in a row and makes me get aggressive in removing others with only one loss when I want to get new teams on the ballot. The other challenge is staying consistent on my thinking. I gutted Wesleyan the week before for losing three straight after I put them tenth. This year I have been more aggressive and simply removed the Cardinals from ballot. I have treated those who lose once every week or two a little less harshly, sometimes not moving them at all (depending on the circumstances). Then suddenly I realize they have four or more losses and maybe I haven’t been harsh enough. And how do I treat Amherst who lost twice (including once to Wesleyan)? Harshly like Wesleyan? Gently like Babson? Suddenly the thinking and the plan are being challenged from all directions? Do I change my methods? Do I adapt? Do I just go with what my gut tells me each week? Neither of them make it easy. 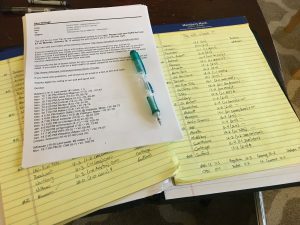 Usually, I try and go on a case-by-case basis, but that starts to get murky when you are talking about 30-50 teams, and countless losses or results, under consideration at any one time. So, I tried a bit of a hybrid. Look at each team on a case-by-case basis, but also have the bigger picture in mind when it comes to consistency. I’ll admit, I am not sure how well I did this week. Like a lot of weeks, I could have gone around and around and around with teams and rankings. I could have changed my ballot every ten minutes and still be doing it right now if there hadn’t been a deadline. I was even thinking about different options while hanging out with my kids at the science center for part of the day on Monday. Connecticut College defeated Amherst this past weekend continuing the trend that any good team can beat some of the country’s best this season. The end result is what I am thinking this week, but I may blow it all up again next week and start over. The fact teams at .500 could have a legitimate chance to defeat a Top 10 team used to be pretty rare. It simply isn’t these days. There are very good teams who for whatever reason have taken more losses than expected and pose a real threat to what appear to be dominating teams. At the same time, some of the dominating teams just aren’t as superior as we are accustomed which allows their flaws to be even more revealing. I cannot say with any confidence I know who the top teams in the country are right now. I can give you who I think they are, but already in the last few weeks those thoughts have been completely second guessed. Marietta is a damn good team, but can you explain why they are 11-4? Amherst has looked good, but suddenly they drop two games in a row! There is a good chance the best teams in the country don’t have a resume to match. Those teams in the 10-20 range very well could be who we see in Salem come the third weekend of March. The teams up top may not have had their “moments” that show us who they really are – stumbling for a few games after being revealed. The trick will be if those “moments” come in the next few weeks or ill-timed in March. With that in mind, here is my attempt at gauging who the Top 25 teams in the country are. Sam Borst-Smith may have played well, but Rochester couldn’t escape their own gym without a loss against WashU. Surprise! Yeah. I didn’t move the Yellow Jackets despite a rough weekend including a loss to WashU. The more I tried to move to Rochester, the less likely it became. I simply don’t see who I would put them behind after just their first loss of the season. Now, I will not say I am comfortable. I have liked Rochester all year, but losing at the Palestra and having to come from behind in the first game of the weekend has me uneasy. It is only going to get tougher from here since they have to travel to Chicago and WashU later in the season… not to mention play the rest of the UAA schedule. I’ll be honest. I have seriously thought about moving the Captains down despite the fact they keep winning. However, I keep in mind the fact they only have a second loss because of a lucky heave from Salisbury right before the holiday break. That leaves just a dismantling by Marietta at the beginning of the season. I have tried to take more stock in that loss considering the struggles Marietta is now having, but I have leaned on thinking the Marietta squad I saw then is drastically different than the one currently playing and the same goes for CNU. However, the Captains have their flaws, especially inside and I know their opponents will try and expose those flaws. Top five feels too high. How good is Denison? Dave has decided to buy in, but we shall see how long this lasts. The Big Red have skyrocketed the last few weeks in my poll. I have tried to remain a bit subdued at the fact they have only lost one game, but at the same time there is a thought that if a team has gotten this far in this season without more losses they must be good. This isn’t exactly true across the board. Denison’s strength of schedule right now is surprisingly low. However, while the wins over Wooster, Ohio Wesleyan, and DePauw aren’t staggering… I do know those are good programs who appear to be gaining strength after a difficult start to the season. My thinking is Denison may be better than advertised, so I am riding the wave. Unfortunately, we probably won’t get a chance to see if I am right until February 1-8 when Denison plays at Ohio Wesleyan, vs. Wooster, and at DePauw. The NCAC season will be decided that week. Surprise again! Another team takes its first loss and doesn’t move. In this sense, I remain consistent. Like Babson earlier this season, I didn’t punish Ramapo for losing to New Jersey City, on the road, in overtime. Yes, NJCU is not at full strength which some could read into and say that means the Roadrunners aren’t that good if they barely got by the Gothic Knights. However, I also know NJCU will take you out of your offensive game no matter their personnel, so I chalk this up as expected. I did not expect any NJAC team to get through the conference unscathed. That is the case with Ramapo and thus one of the better teams I have seen in person isn’t going to get dinged for taking a loss I pretty much expected. Tufts is tough to read. I almost feel like it is smoke and mirrors. Are they really a top ten team as I have had for quite a bit of the season? Or have they just floated there because I have to put someone tenth. The win over Middlebury gave me confidence the Jumbos may be for real, but Wesleyan and Connecticut College loom large this week. Odd week for the Gothic Knights. Lose earlier to Stockton, but recover to beat Ramapo in overtime at home. NJCU would have gone down based on the loss to Stockton; risen based on the win over Ramapo. Thus, they stay where they are. This might be one of the best defensive teams in the country right now even if they are not at full health. They’ve got a couple of good road tests coming up they need to survive. The Sea Gulls are starting to worry me. They seem to struggle to stay focused. Two losses in Las Vegas was shocking, but certainly understandable considering they played two of the better teams there. However, they could have also come out of South Point Arena 2-0. Then they show up at York (Penn.) who is playing without their best player inside and Salisbury rolls over. They should have dominated. Their team is designed to dominate squads like York who are rebuilding. I need to see Salisbury show they can take on all comer before I start thinking about bailing on what I think is a very talented squad. I have been quietly watching the Quakers for weeks now. They, in return, have been quietly cruising through the ODAC and find themselves tied for first place. They have won eight straight including dominating Roanoke. I think a lot of voters don’t know what to do with ODAC for good reason. The top has come back to earth a little bit, so it’s hard to put a lot of faith in the teams at the top. However, Guilford’s two losses are by a combined eight points and when they win, they tend to win easily. The true test may not come until January 28 against Virginia Wesleyan, but keep an eye on this week against Emory and Henry and Hampden-Sydney. Guh. Talk about a bad week for the men’s squad. The loss to Wesleyan, okay. But to compound it with a loss to Connecticut College? The former Lord Jeffs have now lost not only two in a row, but three of their last four and four of their last six! It’s like the Babson game was all they were focused on. And it isn’t going to get any easier. The next four are against Bowdoin, Colby, Williams, and Trinity who all spell blood in the water. I can’t say for sure why Amherst struggled this past weekend, but rest assured the next four opponents have seen why and will try and exploit it as well. Ok. I finally voted for the Bears. I know a lot of voters thinking highly of WashU (thus why they are 11th despite my 20th place [previously not on my ballot] vote). I am not sure why. They are 11-3 which is obviously good, but they have lost to UW-Eau Claire by 14, Central by four, and Illinois Wesleyan by a point. They then needed overtime to beat a below-their-average Wooster squad, barely survived a tough Chicago team, and needed to comeback against an overrated (by me previously) Emory team. Yes, UWEC is in my Top 25 and IWU has been in and out (and, spoiler, still flirting). Prior to this weekend, the Bears just didn’t excite me. However, they did beat Rochester on the road (the second game of the Atlanta-Rochester trip to boot) and that got me thinking: sometimes teams don’t win pretty, they win ugly. Maybe WashU is one of those teams. Not sure how much we will learn in the next three weekends should they win (vs. NYU, vs. Brandeis; at Carnegie Mellon, at Case Western Reserve; vs. Carnegie Mellon, vs. Case Western Reserve). Lose? May answer my questions more fully. For now, I’m on the bandwagon. Hope it doesn’t hurt as much as it did for St. Louis Cardinals fans on the Jason Heyward bandwagon last offseason (that’s an inside joke). The Cardinals are either suffering from whiplash or learning to play the yo-yo. They went from tenth to unranked to 23rd on my ballot in three weeks. They went from ninth to unranked to 24th on the D3hoops.com poll. Wow, what a ride. But when you beat Amherst and close out the weekend ending your three-game losing streak with a second straight win at Trinity… it is bound to happen. Wonder where they land next week after playing Emmanuel, Tufts, and Bates. Tahron Harvey and the Eagles suffered their first conference loss in 34 games (conference record) against Concordia (Wis.). I seriously considered removing the Eagles from the Top 25. Yes, it was a single loss, but it was in conference where to be in the Top 25 they probably should be dominating. I realize it is hard to keep winning in any conference (which makes St. Norbert’s run even more impressive), but I was very concerned with the loss to Concordia (Wis.). The only thing that stopped me from removing them was feeling I might have been too harsh, but more importantly not sure who I would replace them with. Plenty of candidates, that’s for sure. Just not sure if any of them have proven anything more than Benedictine. We shall see. I also nearly removed the Knights as well. This might have been one of the few times I expected a team to keep winning. Or more appropriately, I expected that if Neumann were to lose it would be to Cabrini or Gwynedd Mercy. Not to Rutgers-Camden who was previously 1-9 (now 3-11). Though, I did consider that Camden is playing far better now and nearly knocked off Ramapo as well. However, the last few weeks I have noticed that Neumann’s leading scorer is missing. James Butler hasn’t shown up on a box score in awhile. Cam Wiley and the Garnet lost two last week by an average of 17.5 points dropping them out of my ballot. The Garnet had a rough week. They lost two in a row and neither of the games were close. Johns Hopkins handled them 70-52 in Baltimore and Franklin & Marshall steamrolled the Garnet 83-66 at Swarthmore. Not sure what happened. I don’t see any missing players. 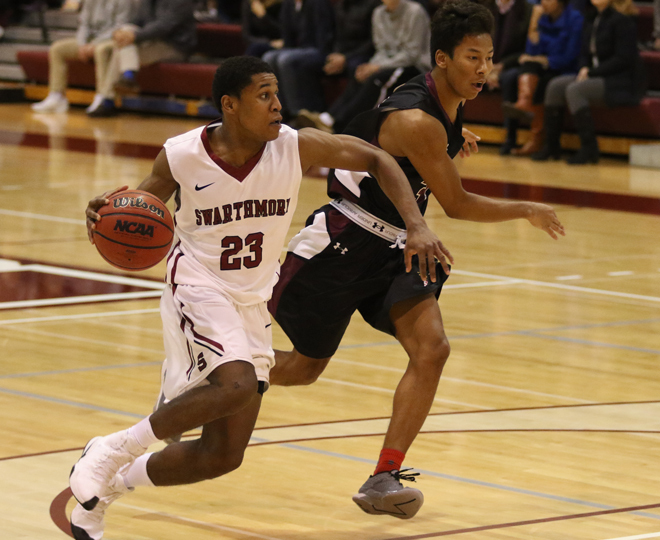 This was a chance for Swarthmore to take firm control of an okay Centennial Conference this season and instead it is has turned things into a free-for-all. Maybe I had put too much stock in the Garnet. Speaking of free-for-all, the CCIW is shaping up that way as well. I thought Carthage was maybe turning into a Cinderella and setting themselves up nicely, but they then lose to Illinois Wesleyan. Not a bad loss, but IWU is without preseason All-American Trevor Seibring (back) right now. Add to the fact that the Red Men barely got past Illinois Tech and I start to see red flags. CCIW is always competitive and good, but maybe this year it doesn’t have a dominating side like in years past. So, there you go. An interesting week to say the least. There are already losses on my ballot like North Park who lost on Monday night to Manchester. I am sure the losses will mount up once again and I will be back to the drawing board again. But I do enjoy this. My struggles to find the best 25 teams in Division III men’s basketball means that there is plenty of good basketball to go around. Last March was awesome with how the tournament played out. I can’t imagine this year’s event will be just as exciting. We have a lot of good teams who put on a show each and every night. I am not complaining in the least. Gives us more to talk about.